It was a really long and tiring week, with lots of work and all-nighters, but a new demo is finally here, with some very early alpha content of the game for you to try. Take it as a sneak peek, a teaser of what is to come later in the game. Tank Training session. 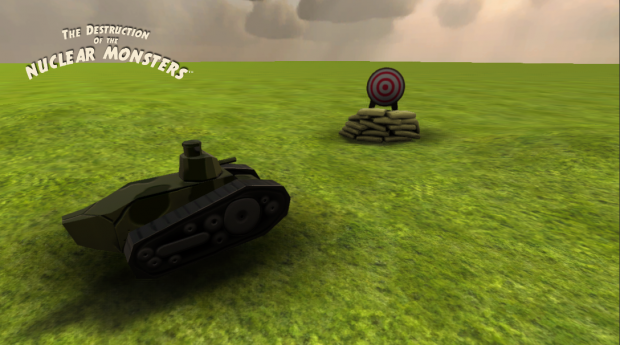 Control a tank and destroy a number of targets before the time runs out. Airplane Training session. Fly through a series of rings while destroying several targets. Fire Truck Training session. Put out the fires on several buildings with your fire truck. Remember to leave your feedback for the game in our official IndieDB thread, all your feedback is very important and very appreciated! We have just released the first interactive demos for the game. It is a very small test made with the Alpha build of the game, letting you play with the giant monster Kelyphos, and destroy some buildings. Soon, we will be releasing more of such small tests, so you can get a teaser of what is to come in the full game. Your feedback is extremely important during this stage of development, so we ask you that if you download and play these demos, please take a moment to leave your comments about it. You can download them here for Windows and Linux. 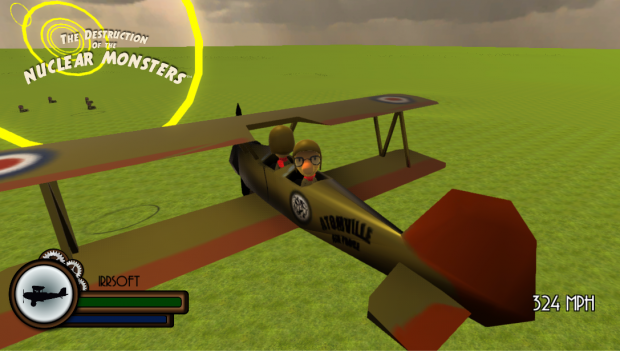 1936 - After a series of strange events, monsters roam the Earth, aliens are invading us, and you, as a giant monster, will need to join the battle to defend or destroy Atomville. The most epic and gigantic fight of history is about to begin. 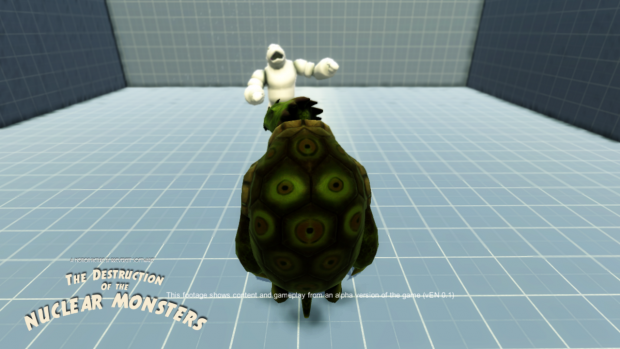 - Take control of one of 6 playable giant Monsters, each one with its own fighting style, attacks, super powers and story. Fight against many different human enemy units, including tanks, planes, police cars, ships, and more! - Play as the humans, and take control of many different vehicles and weapons as you try to defend Atomville! - A whole city open to you, to explore, attack and destroy! 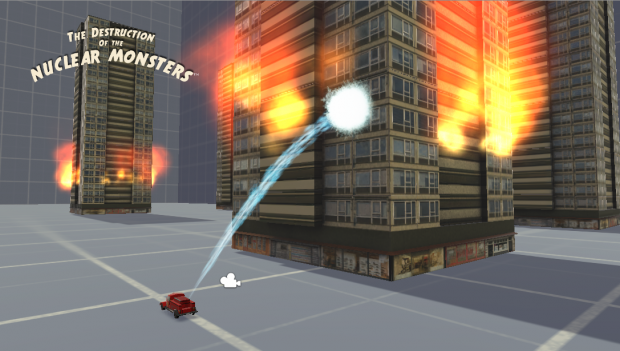 - Dozens of different vehicles and even more buildings, fully destructible. - A densely populated city, where you can see the crowds reacting to your attacks. - Fight with or against your friends, in both competitive and cooperative multiplayer modes! - Play through a full and interesting campaign mode, either as the monsters or the humans! - Play with a friend on the same PC, with the Splitscreen mode! - Sea, Land and Sky battles : The monsters can swim, run, some of them can even fly...fight in every single inch of the map. - WIth its retro style, the game tries to capture the spirit of the old Giant Monster movies, in the form of epic sized battles for the player. Get ready for the ultimate Giant Monsters battle! Really love the 50s/60s B movie style! We really hope you will enjoy the final game, and all the updates we release here and on IndieDB. Thanks again for your comment, and for the support! I really like this idea. It's incredible, and the way you people have handled it is amazing. I can't wait for this, and i wish you people the best of luck. Again, thanks a lot for your support and comment! I'm getting a strong "War of the Monsters" vibe from this game. That is a VERY good vibe. The monsters look fantastic and great job on the teaser.